Peter Heller is the author of a finely crafted, deeply melancholy, but -- against type! -- hopeful post-apocalyptic novel The Dog Stars, published to wide and well-deserved acclaim in 2012. Heller was at Diesel Books in Oakland last month to read from the newly-released paperback of his second work of fiction, The Painter, where I met and spoke to him as his audience arrived. 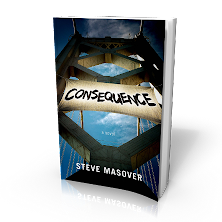 Because he asked (another Diesel Books regular having already told him I am a writer), I described my forthcoming novel Consequence, and in the course of our conversation I categorized it as "pre-apocalyptic fiction." 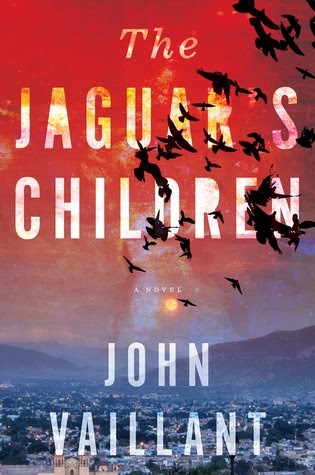 The concept seemed to intrigue Heller, and when I described my book's focus on a community of San Francisco activists organizing against the proliferation of genetically-engineered agriculture he told me about a book he recently blurbed: John Vaillant's The Jaguar's Children. I put it in my queue immediately. The Jaguar's Children is told by Héctor María de la Soledad Lázaro González from the inside of a welded-shut water truck transporting Héctor; an old friend and agricultural scientist César, whom he has only recently found after a long separation; and a company of fellow border-crossers. Following a mechanical breakdown, their coyotes have abandoned the truck and its human prisoners to a slow, tortured descent toward death-by-dehydration in the Arizona desert. Héctor narrates his tale as a series of text and voice recordings queued up in a cell phone, in the hope that sufficient signal will be miraculously regained that he can transmit to an unknown, desperately hoped-for rescuer. Late in the novel we learn that the phone -- César's -- carries the last surviving copy of research that proves the biotech company SantaMaize has released a genetically modified variant of corn that will wipe out genetic diversity that indigenous farmers have depended on for thousands of years, and transform Mexico's self-sufficient communities into indentured servants of agribusiness ... which is why César and Héctor have fled Mexico in the first place, pursued by thuggish enforcers in the service of SantaMaize. Vaillant's work is set in a pre-apocalyptic, present-day world: amid brutal genocide in Mexico and Central America, fueled by drug cartels and boughten police; among desperate rivers of immigrants to the United States, driven by otherwise inescapable violence and poverty into the predatory clutches of coyotes, who rob then abandon them to die in desert borderlands; and in the shadow of a corporate oligarchy hellbent on destroying indigenous people, culture, deeply-rooted agricultural practice, and land in order to accrue profit and power that dwarfs the crude ambitions of druglords. Does any of that setting sound familiar? Maybe that’s because you've read about the fictional world of The Jaguar's Children in the reputable, non-fiction press. The chaos and savagery in which Vaillant has set his novel is happening. Today. Now. That's the thing about "pre-apocalyptic fiction," as I conceive it. It isn't nearly so speculative as its darker, post-apocalyptic cousins. It takes place in a world that has already come into being, not a world that might come to pass. And its heroes are the women and men who are doing what they can to turn the apocalyptic tide. At a demonstration in support of fossil fuels divestment yesterday on the UC Berkeley campus, I was talking to a fellow-activist and retired psychiatrist about current fascination with post-apocalyptic fiction. My own theory, I told him, is that novels of this sort function in the same way that dreams do: they permit people to grapple with issues, conflicts, and fears that are too overwhelming to confront in real or waking life. Pre-apocalyptic fiction, on the other hand, like The Jaguar's Children and Consequence, portray real people overcoming fears from which one might naturally and normally hide, in order to confront forces that are -- in real life, today and now -- propelling humanity and all living beings toward an apocalyptic precipice. Pre-apocalyptic fiction dramatizes the heroism that surrounds us -- in real life -- from Vandana Shiva's "fiery opposition to globalization and to the use of genetically modified crops" described by Michael Specter in The New Yorker last year ("Seeds of Doubt," 25 Aug 2014); to the pacifist anti-nuclear heroines and heroes of the Plowshares movement, described in that same magazine by Eric Schlosser last month ("Break-In at Y-12," 9 March 2015). As John Vaillant has proven in The Jaguar's Children, these dramas are the stuff that compelling fiction is made of. Teju Cole's Open City: protagonist as open book or guarded guide?